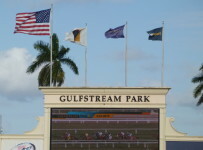 Please turn to our blog for coverage of Friday’s races at Gulfstream Park in Hallandale Beach, Fla., and at Pimlico in Baltimore. 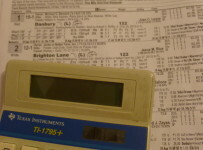 First post at Gulfstream is 1:15 p.m. for a ten-race card. First post at Pimlico is 11:30 a.m. for a 14-race card that includes five stakes. The Friday feature is the Black Eyed Susan (Grade 2) at 1 1/8 miles on dirt for 3-year-old fillies. On Friday and on Saturday a focus of our Pimlico coverage will be on horses that raced at Gulfstream or at Tampa Bay Downs this year.